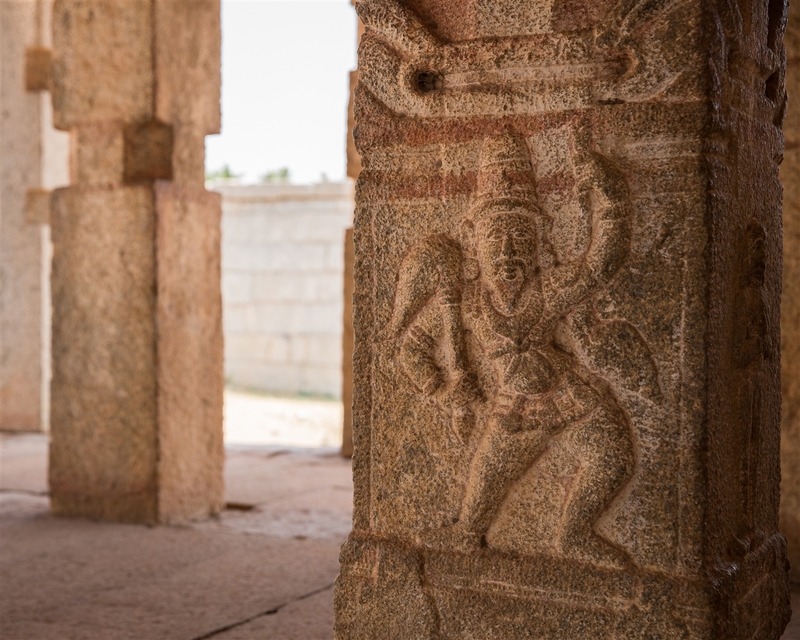 The area of Hampi now known as the Royal Centre is set apart from the Sacred Centre by a narrow valley used for agriculture. 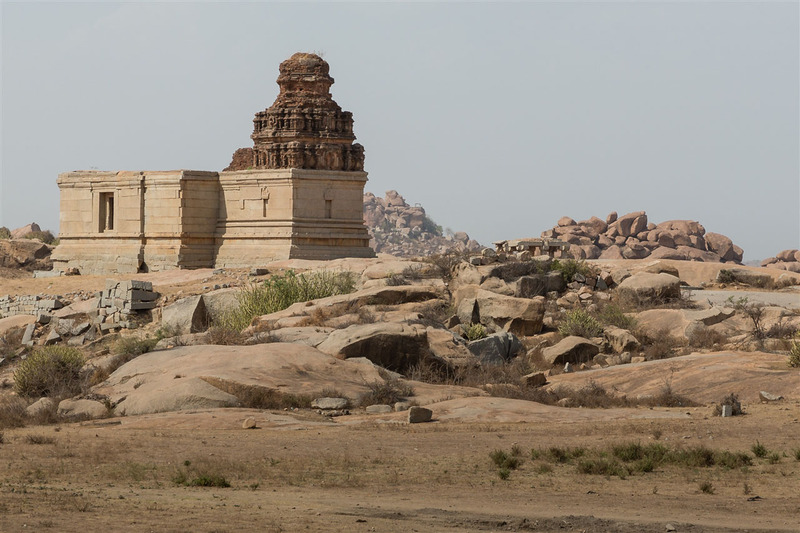 The landscape is quite stark, devoid for the most part of trees, with many of the monuments almost blending into the bare rock that surrounds them. It’s an incredibly atmospheric place. My plan for visiting the monuments was a little random. 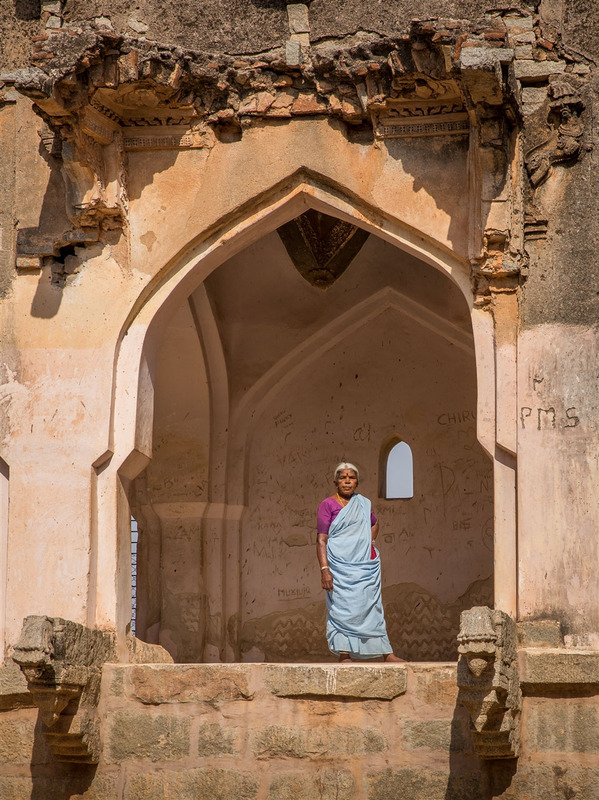 My driver had a list of sites I wanted to see but he wasn’t familiar with Hampi (it was his first time there), so we didn’t do things in a very logical order. For most of the day we were darting back and forth between locations, which actually wasn’t such a bad thing as we stumbled across other things to see that were not on my carefully precompiled and heavily researched list. Often the unexpected turns out to be the most memorable, so I was happy just to go with the flow. 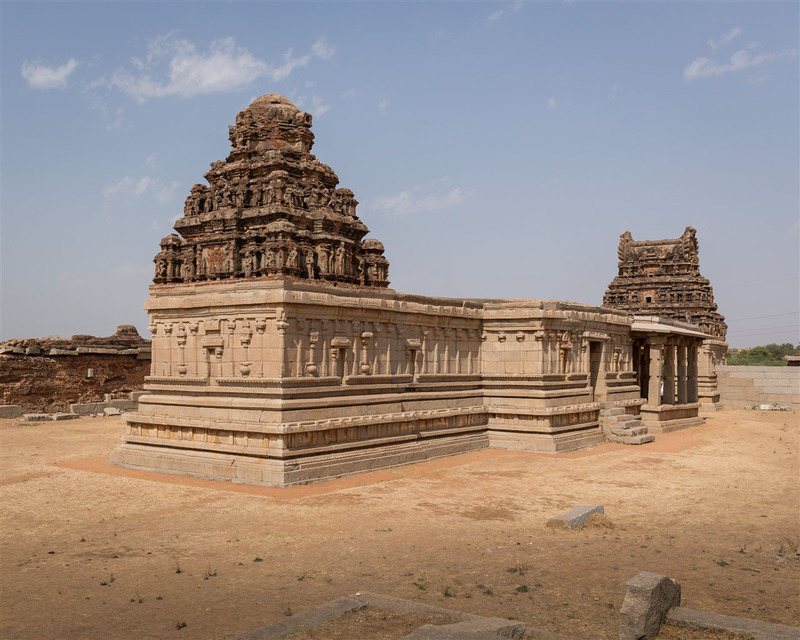 The Chandrashekhara Temple was the first I visited, and I sense this is not frequently visited by many people. 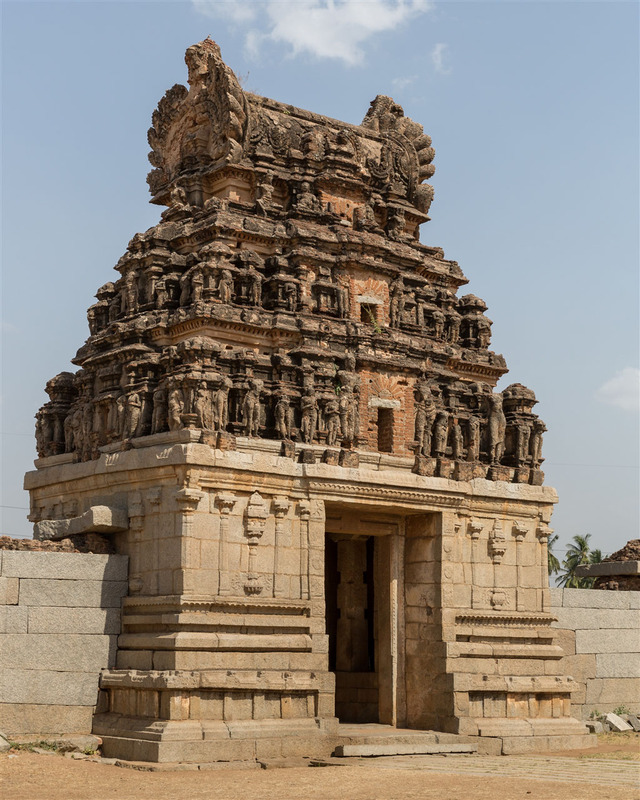 Dedicated to Shiva, the temple dates back to the 16th century and is considered to be one of the first structures to be built by the Vijayanagara rulers. 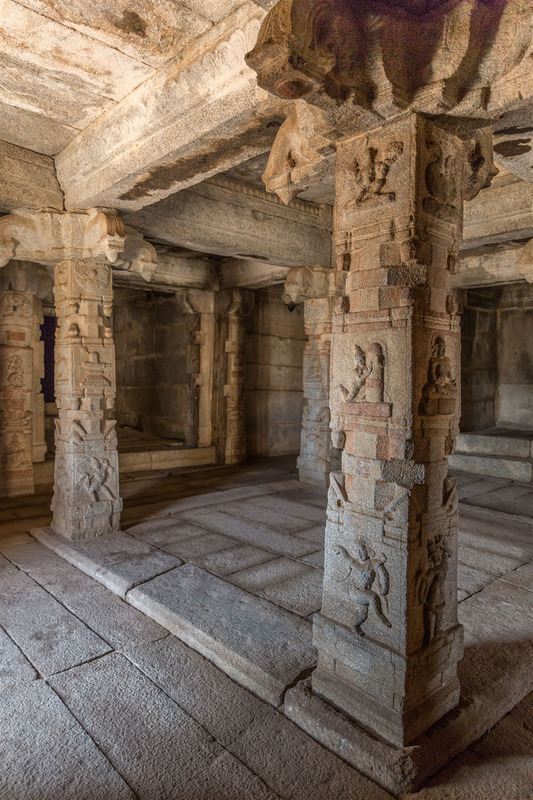 Close by is the Saraswati Temple, dedicated to Saraswathi the goddess of learning. The temple is located on top of a small hillock, from where you get a great vantage point of the surrounding area. It’s only now I started to fully appreciate the expanse of the Royal Centre, and how many structures once existed in this area that have now almost disappeared. Once you get your eye in (being an amateur archaeologist I’m a little trained at this), faint traces of stone lines in the landscape provide an ephemeral hint of what was once there. I don’t know how much of the Royal Centre has been excavated, I suspect there’s a lot more to be discovered in terms of the layout of this part of the city and what functions these buildings had. 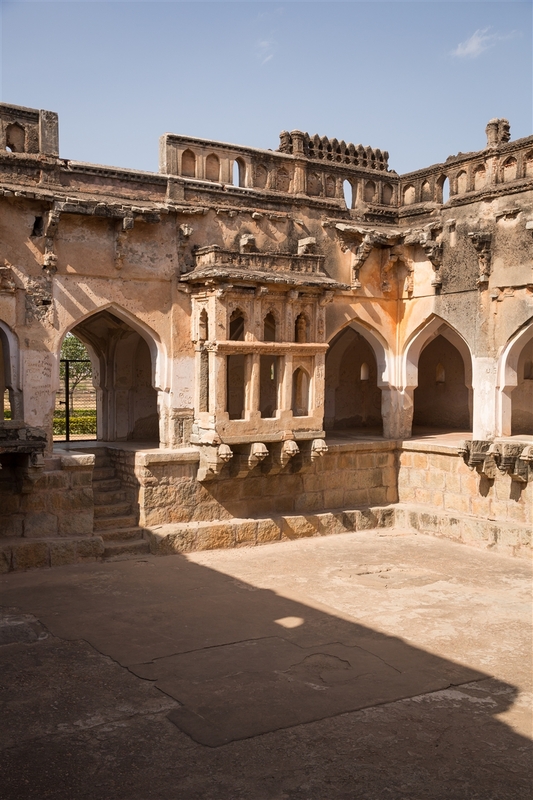 A little further on is the Octagonal Bath, a huge bathing area made in the shape of an Octagon. 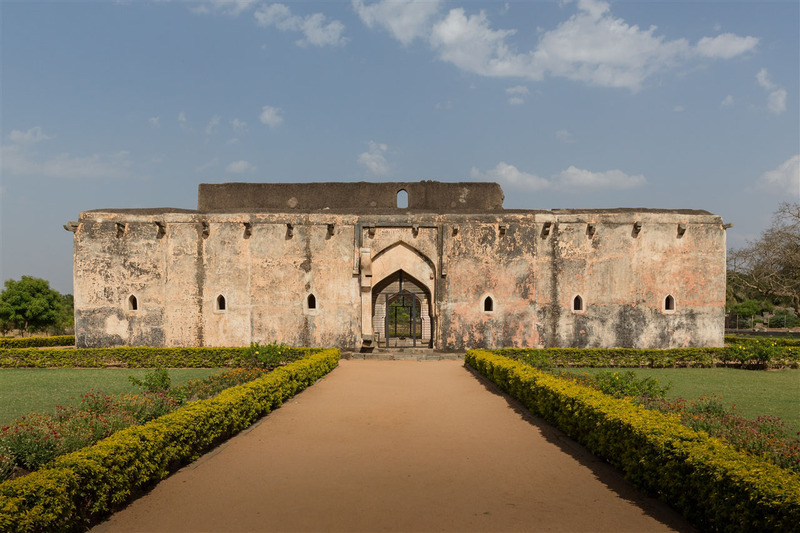 The bath shelter has an octagonal shaped platform in the middle and an encircling pillared veranda around it. Looking west from here you can spot the ruined bases of numerous other structures, but I have no idea of their function. 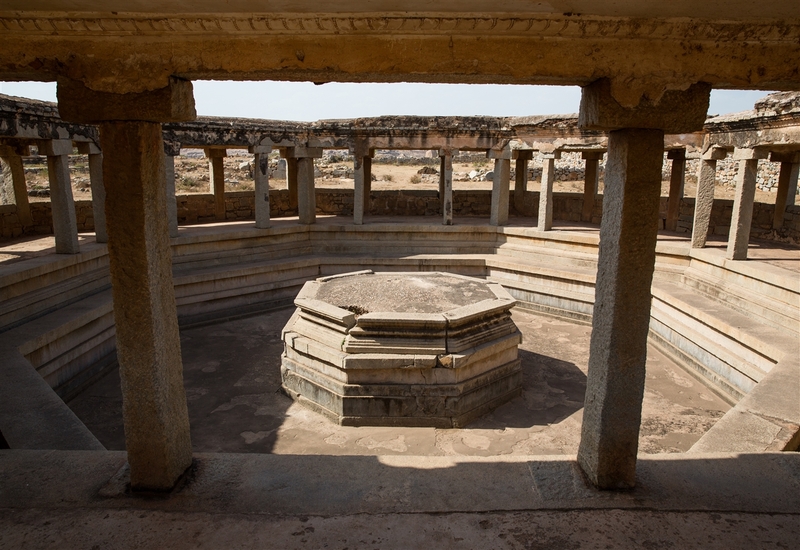 The octagonal bath is in quite an isolated location, but the veranda offers some welcome shade from the fierce sun, as do many of the temples around this area. Being April, I was thankful for these rest stops after taking a few obligatory photos. 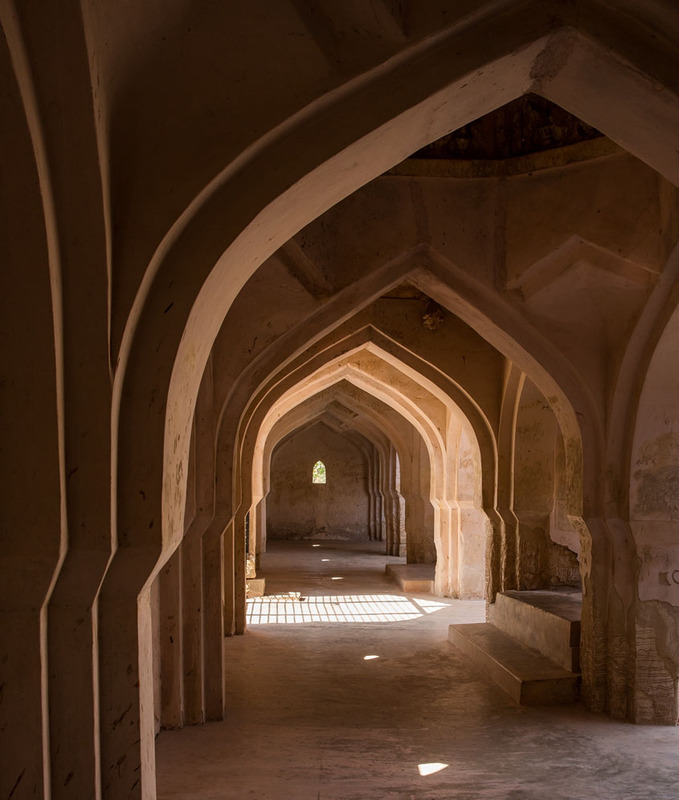 Finally I headed to the Queen’s Bath, the first location on my list for the day – everything else I saw earlier was just a bonus! Square in design and with a plain exterior, the interior is a surprise with extremely pretty internal arcades and ornate balconies that would have looked over the water that once filled the central area of the building. The bathing pool is open to the sky, and is believed to have been filled with fragrant flowers and perfumed water. Traces of original plaster work still survive, as does sadly quite an extensive array of more modern graffiti. 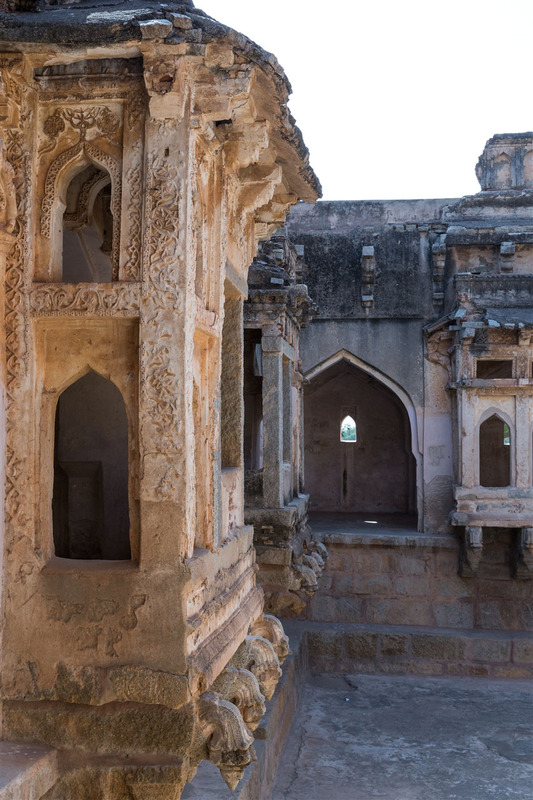 By now I had realised that the Royal Centre offers a lot more to see than I had originally anticipated, and my time in Hampi was sadly limited. You could easily spend two whole days exploring just this part of the city, but now I have a good excuse to return one day soon !